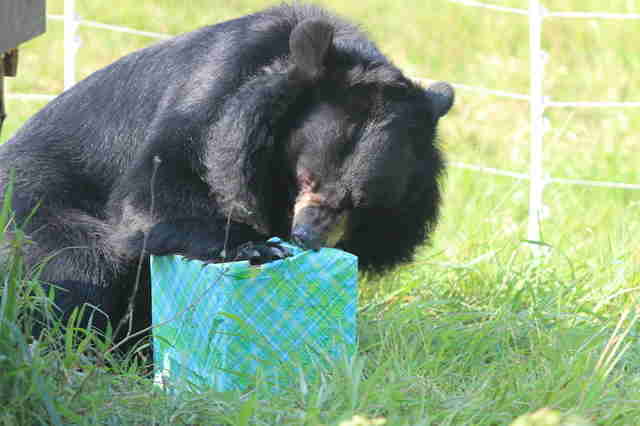 A bear from Animals Asia's biggest rescue of 2015 has just passed his quarantine period and is enjoying what he's deserved all his life – the outdoors, and lots and lots of sunshine. 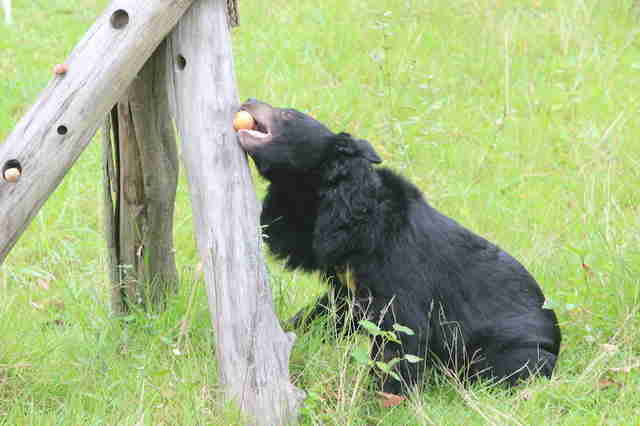 In the week since Quang Yen was allowed out into his enclosure at Animals Asia'sVietnam sanctuary, he's explored and eaten everything – from the apples and carrots stuck into logs, to the cabbage that's just sitting on his favourite swing. 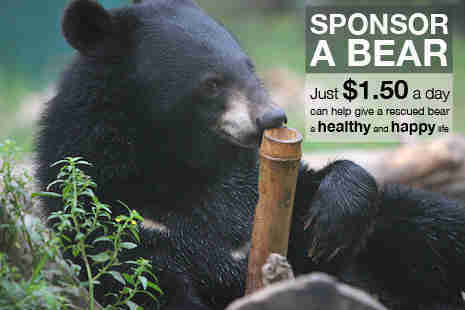 One of 33 bears rescued as part of the Quang Ninh rescues – which ended bear bile farming in the Vietnamese province of Quang Ninh – Quang Yen was rescued from a small cage where he would likely have spent the rest of his life. 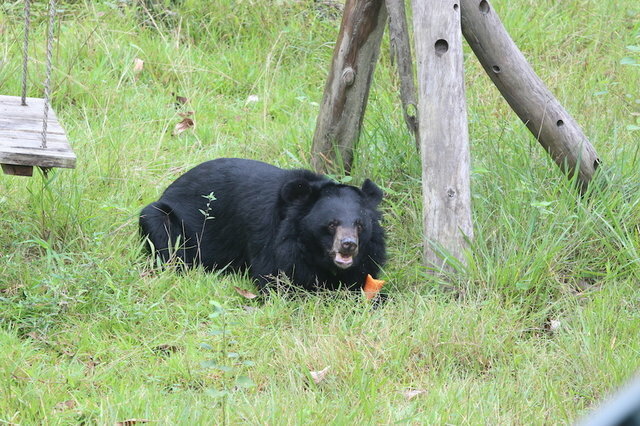 When he first arrived at the Vietnam sanctuary, he would pace back and forth nervously – a natural response to having the surroundings he'd known all his life change overnight. 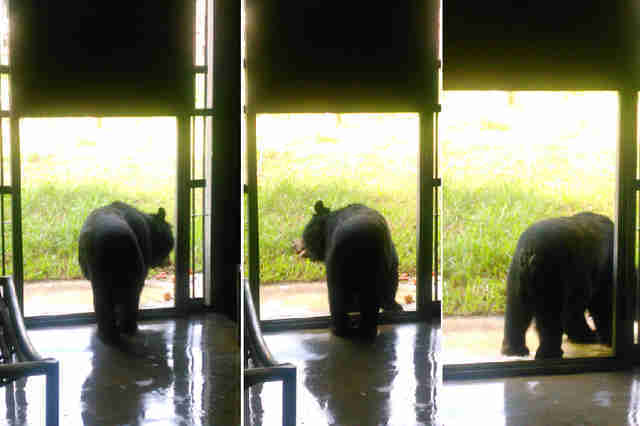 Over the weeks he's gotten used to his new life of support and care, and he's made the miraculous transition to a curious bear fast coming to terms with his new life. "Quang Yen's transformation has been amazing. In just weeks he's gone from a bear whose whole world was barely larger than the size of his body, to a bear who's doing what he was always meant to do. 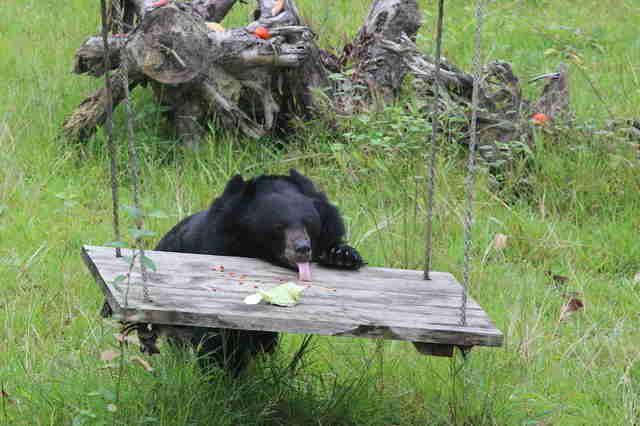 Before our eyes, he's remembering how to be a bear again. 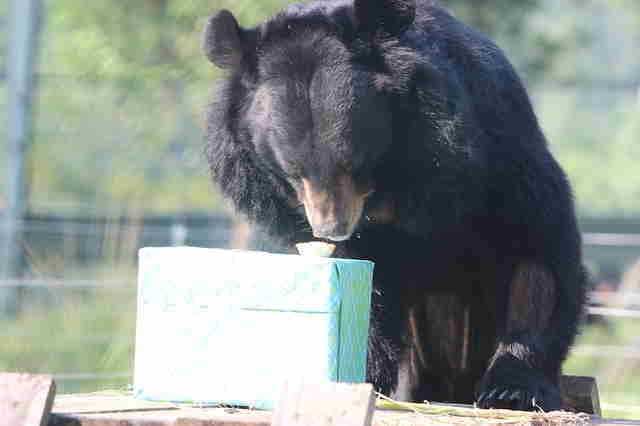 "Not all of the bears that we rescued in the past year have adjusted to sanctuary life as well, which makes us doubly proud of this bear. He's been able to let go of the trauma of a life that was no life at all – and experience all the things that were meant to be his in the first place. "That smile you can almost see on his face – that's what our bears still awaiting enclosure access have to look forward to in the coming weeks."